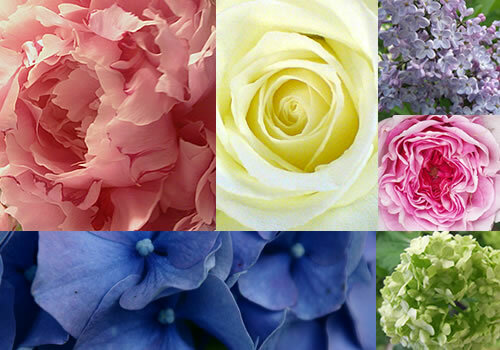 You are currently browsing articles tagged summer flowers. 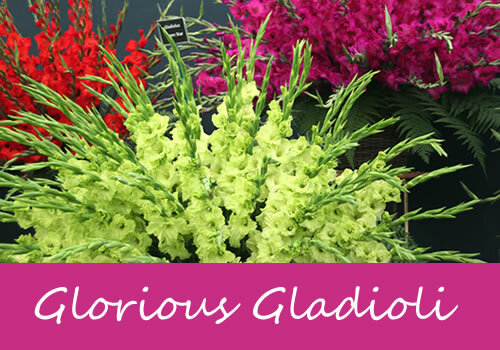 Colours: mainly bright yellow, but some varieties are pale lemon, orange and deep red. Sunflowers are part of the aster family; they are named for their resemblance to the sun. The botanical name Helianthus comes from the Greek word for sun ‘helios’ and flower ‘anthos’. 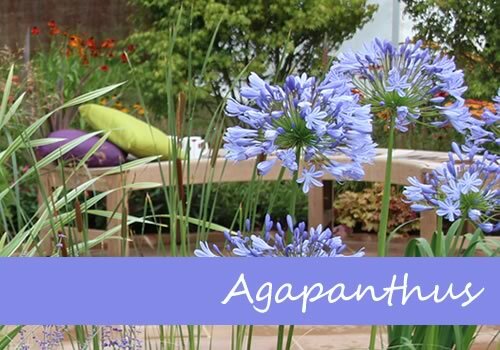 They are most well known as large yellow flowers with a deep brown centre. Sunflowers have only been grown for decorative purposes fairly recently. Their seeds have been used as a food crop for many years by North American Indians; they can be eaten raw, ground up for bread or roasted. 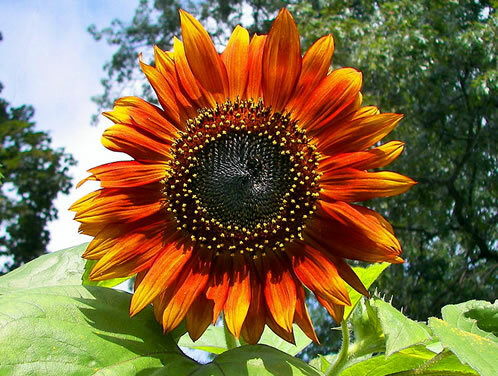 Sunflower seeds are also used to produce oil, a mature flower produces up to 40% of it’s weight as oil. The oil was used to soften leather, cook with and as hair conditioner. The pith from dried sunflower stems was used as filling in life jackets due to their buoyancy, before modern materials were available. One sunflower is actually made of a disk of hundreds of tiny flowers arranged in a spiral pattern, and an outer ring of larger ray flowers, the central flowers eventually turn into seeds. Their thick stems are rough and hairy and have large leaves with jagged edges. Sunflowers usually grow to between 5ft and 12ft. The tallest recorded sunflower in The Guinness Book of Records grew to 25 feet. Growing sunflowers is easy in your garden, they should be planted about 12 inches apart. 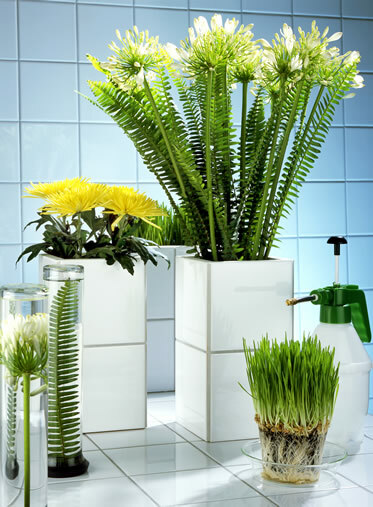 They mainly require good fertile soil and lots of sunlight. When the the plants start to get very tall they can be supported by garden canes. 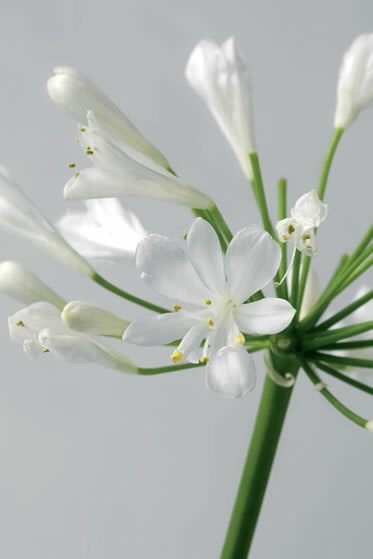 Some varieties are available all year round as a cut flower, although they are traditionally a summer flower. 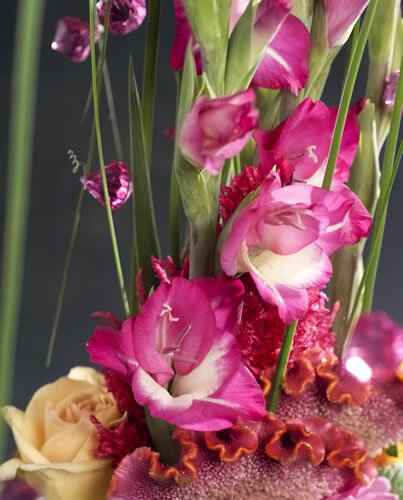 They are so popular as cut flowers; they are one of the top ten best-selling flowers in the UK. 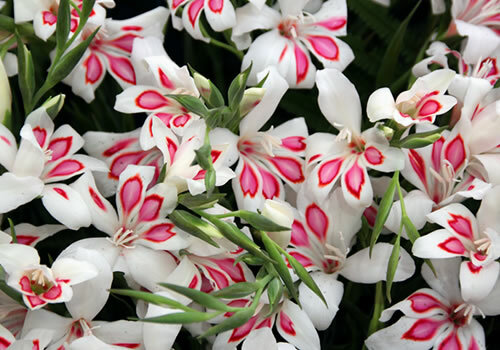 They are available in many varieties now such as prado red a deep reddish brown shade, teddy bear a fluffy double-petalled variety and Sonja a mini variety. 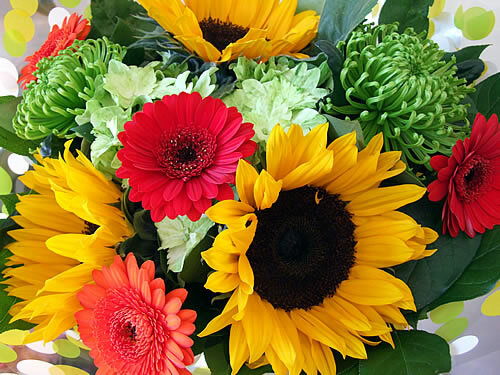 Sunflowers are such large flowers they make great focal points in bouquets and arrangements. 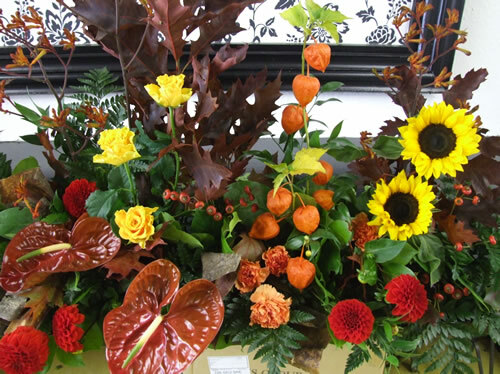 They suit designs with bright mixed colours and work particularly well in autumnal arrangements. 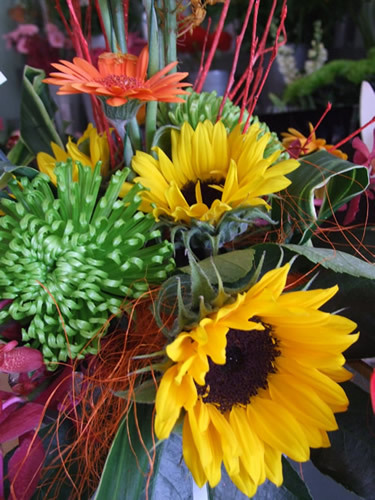 The mini varieties of sunflowers are lovely in wedding bouquets. Jubilee fever is upon us and the high street has responded with all sorts of party supplies adorned with union jacks. There are plenty of cheap and cheerful decorations in the shops but if you want something a bit different you have to look a little harder. We’ve found some great things that’ll help your party go with a swing. 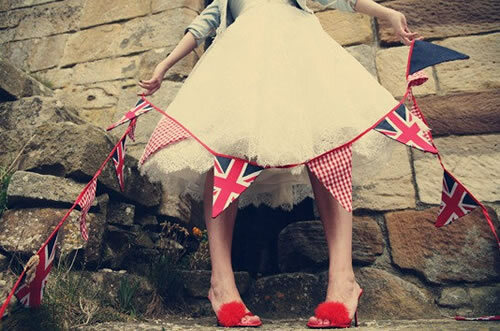 Firstly what British party would be complete without some bunting? It’s an easy way to make any space look festive. You could also use cute bunting invitations to hint at the style of your party. To dress your table make a runner from some retro print fabric, any of the fabrics in the London Collection would be perfect. They have several kitsch designs featuring London buses, crowns and Buckingham Palace. 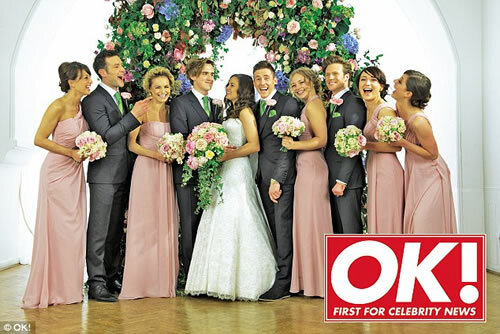 For an unusual centrepiece try a cake stand with small flower arrangements instead of cupcakes. 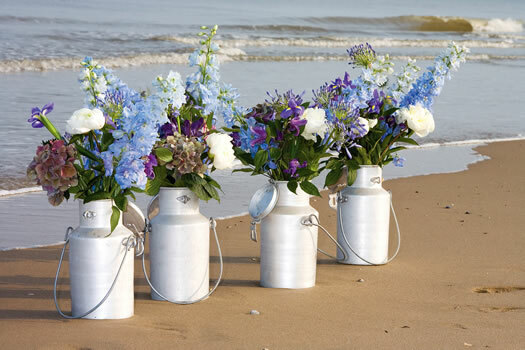 The arrangement pictured from Red Floral has lots of different flowers in clashing colours, to keep with the Jubilee theme use summer flowers in red, white and blue. Tie your napkins with some ribbon in the same retro style as your table runner. 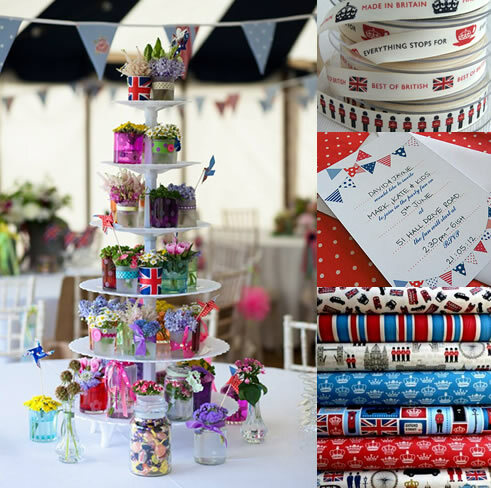 Berisfords have a range of British themed ribbons printed with union jacks, teacups and Beefeaters. Strawberry champagne Jelly is a great party desert, how could you not like jelly with fizz? There is a lovely recipe on Hugh Fearnley-Whittingstall’s website, it’s made with loads of fruit and tastes fantastic. If you fancy a jelly centrepiece Bompas & Parr have designed a special Jubilee jelly mould. You could have your very own Jelly Buckingham Palace, guaranteed to be a hit with children and adults alike.